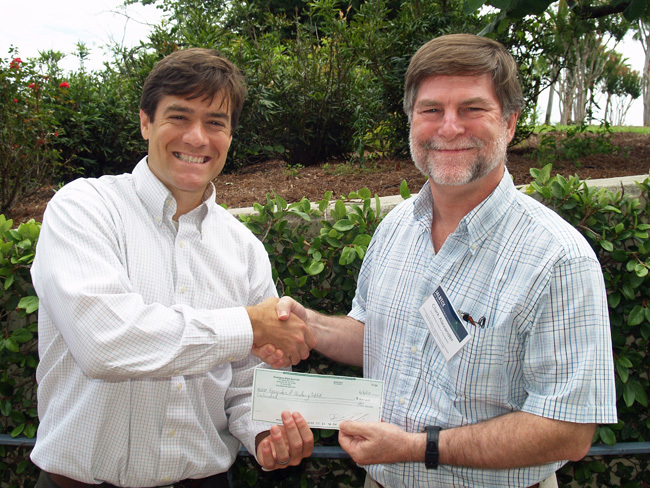 The organizers of the 2017 Skidaway Island Marathon recently presented a donation of $600 to the Associates of Skidaway Institute. Endurance Race Services organized the March 25th race which had both its start and finish lines on the UGA Skidaway Marine Science Campus. A runner crosses the finish line in the 2017 Skidaway Island Marathon. The marathon organizers support a number of area non-profits from the proceeds from the race. 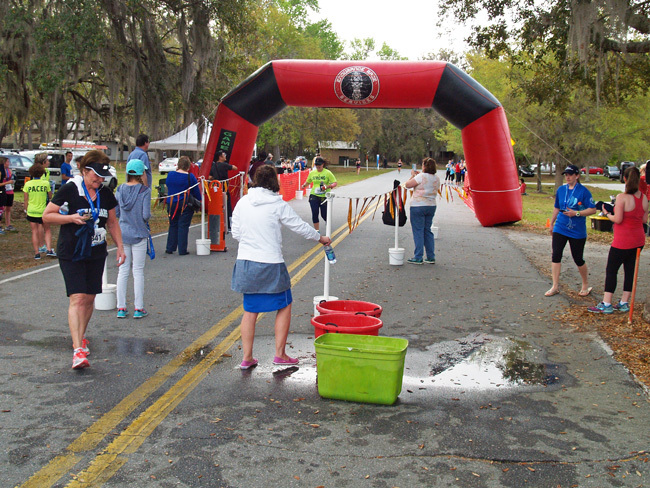 This was the third year the Skidaway Island Marathon was based out of the Skidaway campus.